A House panel on Wednesday approved a measure that would require the Pentagon to slash 25 percent of its spending on back office functions, with lawmakers saying the move would eliminate bureaucratic redundancy. The provision would cut one-fourth of funding for certain Defense Department-wide activities, such as logistics, human resources, services contracts and real property management. The newly created chief management officer at the Pentagon would be responsible for identifying “efficiencies” to reach the reduction target by 2021. Thornberry scaled back the proposal from one he initially put forward last month, which would have eliminated many more offices. Instead, the NDAA would require the chief management officer to either “validate the usefulness” of each back office agency or propose its elimination. The CMO would submit a report on the agencies to Congress by March of 2020. 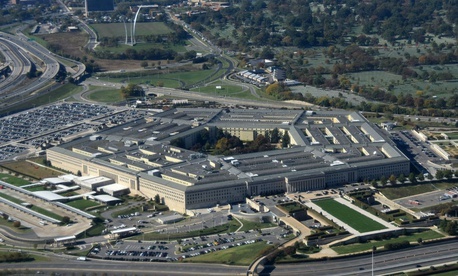 Several amendments to the NDAA would impact the Pentagon’s civilian employees. Currently, Defense is only required by statute to consider workload when placing constraints on the number of civilian positions. The committee agreed to an amendment, introduced by Rep. Donald Norcross, D-N.J., that would require the department to also consider the costs associated with shifting the work to military or contract personnel. The armed services panel rejected a proposal that Defense report each quarter on the amount the department spends to support travel of senior executives across federal agencies, and whether any spousal travel was reimbursed by the government. Democrats on the committee pointed to the costs associated with military travel from Trump administration officials, such as Treasury Department Secretary Steve Mnuchin, but Republicans said it would place undue reporting burdens on the Pentagon. The committee approved an amendment that would require Defense to conduct security clearance reinvestigations of senior leaders found to have engaged in sexual assault or harassment. The provision, which would apply to both military and civilian personnel, would ensure the reinvestigations occur even if the leaders are retiring. Lawmakers may be eyeing changes to the civilian telework policy. An amendment approved by the committee would require OSD to brief the armed services panel on its use of flexible work schedules and telwork for civilians. The committee said it was concerned about the “lack of professional flexibility in the civilian workforce” and its impact on recruiting. Civilian employees also dodged a potentially significant hit to their compensation. The Trump administration this week put forward a legislative proposal to slash the retirement benefits of federal workers by $143.5 billion over 10 years. According to multiple individuals familiar with committee activity, the administration pushed to have those proposals included as an amendment to the NDAA. Democrats and some Republicans opposed the changes, and such an amendment was never considered. The Defense bill, which the committee approved with bipartisan support, would authorize $639.1 billion in funding for the department. The bill will now go to the House floor for a vote before moving to the Senate.